In his latest column, Matt Carr celebrates the brilliant investigative journalism of the Taiwan-born reporter Hsiao-Hung Pai and her new book on Chinese rural migration. Journalism should be an honourable, inspiring and admirable profession, but few people will need to be reminded that it frequently isn’t. Ever since newspapers were invented, it has generated more than its fair share of cynics, propagandists, and opportunists. The Austrian satirist Karl Kraus once described a journalist as someone with ‘ no ideas and the ability to express them’ – a harsh judgement, but one that has frequently borne out in fact. This absence of ideas is often reflected in a willingness to uncritically recycle the views of the powerful, and defer to the established consensus regarding what should be written about and what position to take – the better to avoid any problematic expression of individuality that might slow down careers or even bring them to an end. Nowadays there often appear to be more of this type than usual, whether it’s gimlet-eyed former leftists posing as pseudo ‘contrarians’ and attacking the disabled in the pages of the rightwing press, solipsistic commentators churning out 1,000-word copy on changing their baby’s nappies or offering faux-ironic takes on what some celebrity has said or done, to parliamentary sketch-writers with the gift of the gab and not a lot else. But then there is Hsiao-Hung Pai. 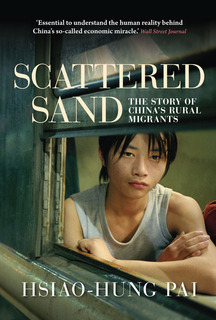 I’ve just been reading her brilliant – and shamefully under-reviewed – Scattered Sand: the Story of China’s Rural Migrants (Verso 2013), and what an astonishingly moving and powerful piece of work it is. Pai was previously known for her powerful reporting on the Morecombe Bay cocklepicker tragedy, which formed the basis for the Nick Broomfield film Ghosts. She was also instrumental in helping raise money to pay off the debts incurred by the families of the Morecombe Bay victims. Pai is a phenomenon that has become conspicuously absent from mainstream contemporary British journalism: the activist-writer, with a real commitment to the marginalised, exploited and excluded. A dogged, fearless and remorseless reporter in the tradition of George Orwell and the German Gunter Walfraff, Pai went undercover, working as a receptionist in a massage parlour to investigate the sexual exploitation of Chinese female migrants in the UK in her last book, Chinese Whispers: The True Story Behind Britain’s Army of Labour (Penguin 2008). Scattered Sand is an extension of that investigation, which traces the phenomenon of Chinese migration back to its source: the great exodus of the peasantry that has transformed China into the workshop of the world. 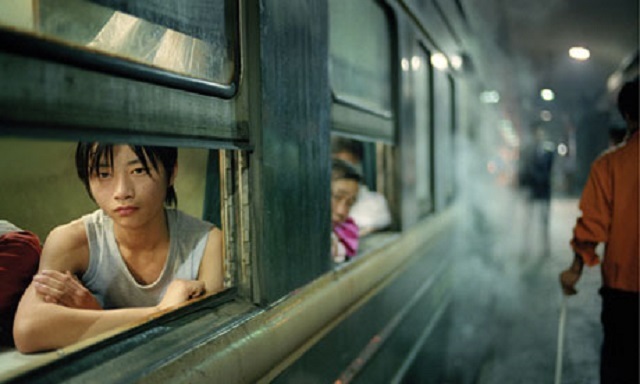 Though her book opens with a report on Chinese migrants in Russia, and one of its most affecting chapters describes a visit to some of the relatives of the Morecombe cockle-pickers in Fujian province, her investigation is primarily concerned with internal migration within China itself. In recent years some 200 million Chinese have left their homes and provinces in search of work. Most of them are peasants or come from peasant families, fleeing rural poverty that has been compounded by privatisations and land sales, from which village chiefs, private companies and corrupt officials have mostly benefited. Unable to make a living from the land, these peasants have become what the sociologist Zygmund Baumann once called ‘surplus people’ – and a permanent army of labour that can be easily fired and hired. Some go abroad, but the majority gravitate to China’s ‘Special Economic Zones’ (SEZs) or megacities like Guangzhou, where there are three to four million migrant workers out of a total population of ten million, most of whom work for foreign companies and multinationals. Denied any legal protection by the authoritarian pseudo-socialism of the Chinese Communist Party, and by official strictures which make housing and access to basic healthcare dependent on possession of temporary residence permits, these workers often become ‘illegal immigrants’ in their own country, and reduced to conditions that are not far removed from slavery. Pai tells stories of migrants whose pay checks are withheld by their employers for a year or sacked without pay; of children kidnapped and forced to work in brick kilns; of men and women living on the absolute margins of society, of ruthless exploitation that is a direct consequence of China’s integration into the global economy. Pai chronicles this immense and epic movement of people with real compassion and empathy, and a quiet but incendiary indignation at the injustice that she encounters in her travels back and forth across China. Whether haunting urban labour markets in Beijing or Ghuangzhou, or visiting remote rural towns and villages, she is constantly seeking out people who China’s rulers would prefer to remain invisible, and allowing them to speak with their own voices. All this is backed up with a formidable and meticulously-assembled mass of information that never intrudes onto her narrative. The scale of Chinese rural migration is so vast and almost overwhelming, that it can easily become an impersonal mass of mindboggling statistics. It’s a tribute to Pai’s great gifts as a writer – and to her empathy with her subjects – that she never allows this to happen. On the contrary, throughout the book she never lets the reader forget that the men and women she describes are not ‘scattered sand’ or passive objects of exploitation, but real people, with hopes and dreams, who are often keenly aware of their exploitation and determined to fight it. Should that anger ever find collective expression, then the CCP will tremble, and so too will the foreign companies that depend on migrant labour. Despite the tragedies and despair that she frequently describes, Pai’s great book makes it possible to believe that this might just happen one day. In short, we are dealing with an absolute classic, and a reminder that, whatever David Cameron might say, there is more to investigative journalism than tapping the mobile phones of murdered schoolgirls, and peaking into the bedrooms of the rich and famous in order to rifle through their underwear. Matt Carr is a writer, blogger and freelance print and radio journalist. He is the author of My Father's House, Blood and Faith: the Purging of Muslim Spain, and The Infernal Machine: an Alternative History of Terrorism. His book Fortress Europe: Dispatches from a Gated Continent was published in autumn 2012. His latest book 'Savage Frontier: the Pyrenees in History', has just been published in the UK by Hurst. He has lectured in a number of UK universities, schools and cultural institutions. He blogs at www.infernalmachine.co.uk.